We are lucky enough to receive most of our business through word of mouth and repeat bookings. We can provide references on request. 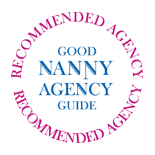 Firstly I would like to you thank you for managing to find me a nanny at such short notice, that was excellent service and will surely be using your services and recommending you in future. During the time R was with us she was fantastic. We have used My Travelling Nanny/My Temporary Nanny on several occasions - the first time in an emergency, and more than once at short notice - each time with total success. Instead of bombarding us with pages of forms to complete and terms and conditions to accept, Linda focussed her attention and energies on listening to us and finding us the right candidate.